The Saint Anthony Messenger answers questions about the origins of the next two days on the Christian calendar. The following are excerpts from the Saint Anthony Messenger report. When you think of Halloween, what comes to mind? 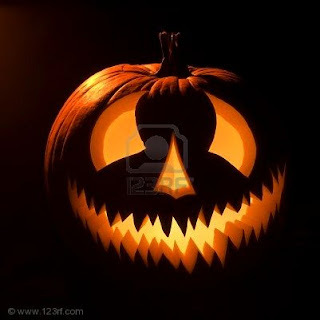 For a lot of people, Halloween has become synonymous with candy, costumes, scary stuff, witches, ghosts and pumpkins. But do you know the Christian connection to the holiday? When the Romans conquered the Celts, they added their own touches to the Samhain festival, such as making centerpieces out of apples and nuts for Pomona, the Roman goddess of the orchards. The Romans also bobbed for apples and drank cider, traditions which may sound familiar to you. But where does the Christian aspect of the holiday come into play? In 835, Pope Gregory IV moved the celebration for all the martyrs (later all saints)from May 13 to November 1. The night before became known as All Hallows' Even or holy evening. Eventually the name was shortened to the current Halloween. On November 2, the Church celebrates All Souls Day. The Catechism of the Catholic Church says that through the communion of saints "a perennial link of charity exists between the faithful who have already reached their heavenly home, those who are expiating their sins in purgatory and those who are still pilgrims on earth. Between them there is, too, an abundant exchange of all good things" (CCC #1475).